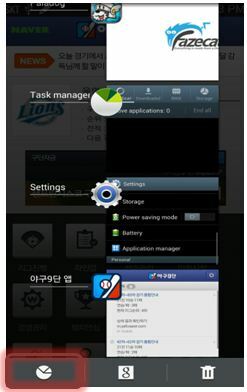 How to Check RAM Status of my Galaxy Note2? NOTE: When the customer closes the application using the HOME key not back key, the application will still be active and occupying RAM, even if the app is not being used by the customer. 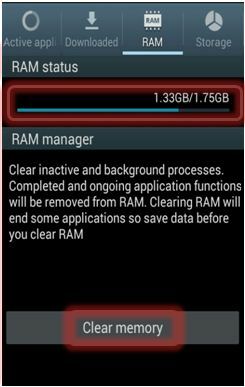 3 Clear Memory in RAM Manager: Tap RAM tab and check Status. 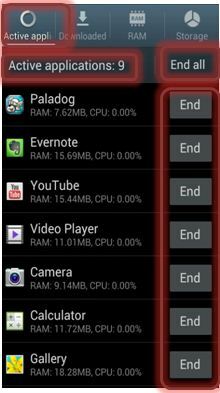 Clear the memory and you will notice RAM status will reduce.